This area was cultivated from the Bronze Age some 3000 years ago and later the Romans dug a canal or lode to assist trade to and from their villas or farms. However the place name gives the best clue to the medieval history. 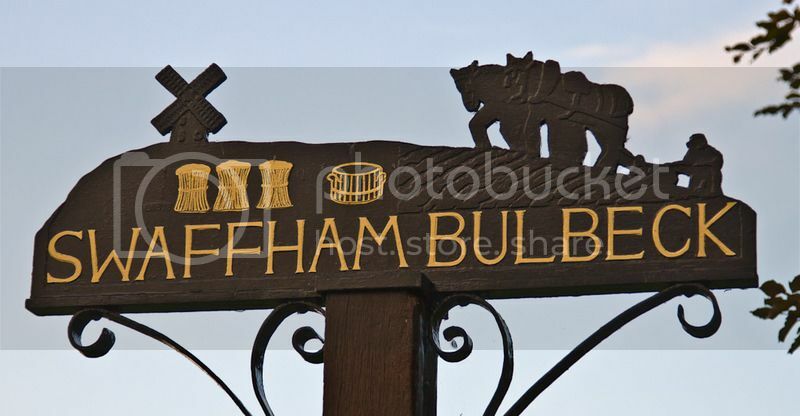 Swaffham means a farm or settlement of the Swabians, a tribe who migrated in the sixth century from south-west Germany – the same name is found at Swavesey (Cambs.) and Swaffham (Norfolk). The name Bulbeck indicates that this village was held by the Bolebec family from near Rouen in Normandy. It distinguishes this village from Swaffham Prior, held in Norman times by the priors of Ely cathedral monastery. Every year the village summer theatre company produces and performs one of Gilbert and Sullivan's operas. Established in 1982 the company has run every year since. Gnxr n frng, gb gur evtug.